Put on your Sunday best, kids, we’re going to Sears—to pick up a water leak detector! Some backstory: WallyHome was originally a product developed by a Seattle startup called SNUPI (an acronym for Sensor Network Utilizing Powerline Infrastructure). The company was focused exclusively on water leak detection, and while the product got rave reviews, it didn’t take off, and the company ended up selling its technology to, of all places, Sears. 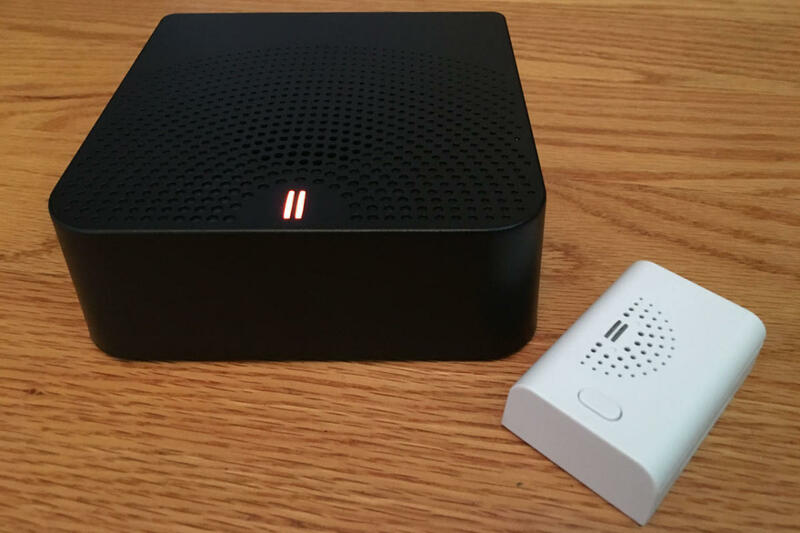 Three years later, Wally is back on the market, redesigned, upgraded, and priced to move at $99.99 for a starter kit that includes the hub and one sensor, and $34.99 for each additional sensor. First, Wally remains foremost a water leak detector. 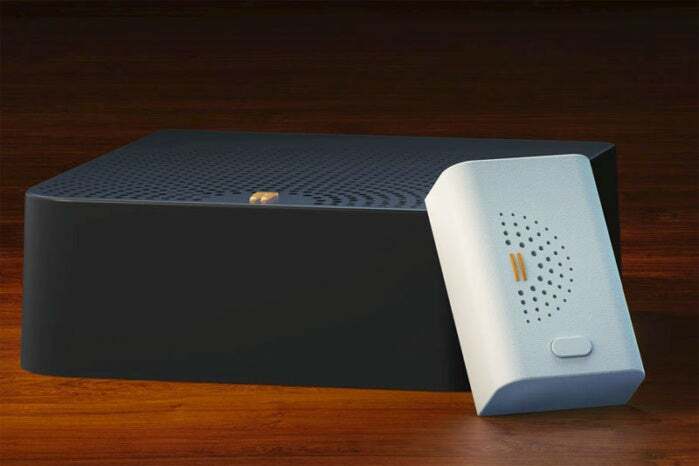 Out of the box, you can drop a Wally sensor anywhere and if it detects a water leak it plays a fairly soft chime through an integrated speaker. It won’t stop until you clear the water from the contacts on the bottom of the sensor or press the mute button on top. If all you want is an alarm that goes off if the toilet overflows, this is a simple and affordable way to get the job done. 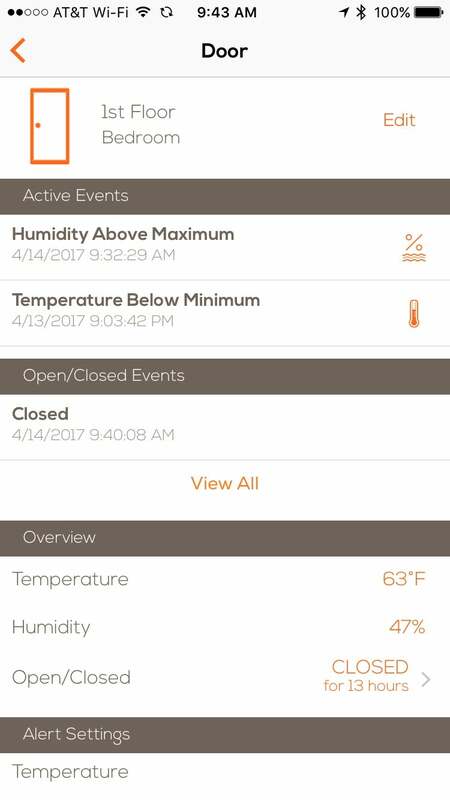 The app gives users a handy dashboard with everything they need to know about each sensor’s status. WallyHome is not a security system. While the sensors and the hub both have a limited siren, it only works with the water leak detection system. You can’t set doors opening to cause the siren to trip, for example. There’s no monitoring service available—and no monthly fees to pay, either. However, if keeping tabs of your home’s environmental conditions is important to you, WallyHome provides a surprisingly compelling and affordable way to do it. While the hardware has been stripped down and now looks decidedly utilitarian, the app does not seem to have changed much since 2014. A streamlined setup for each sensor lets you set where it will be placed and how it will be used, and sliders let you configure the range for which alerts are tripped. WallyHome’s stripped-down industrial design isn’t something you’ll want to showcase to visitors. A single sensor can be set to monitor temperature, humidity, and open/closed status all at once, and it can generate alerts—smartphone pop-ups, text messages, or phone calls (or all three)—whenever thresholds are crossed. 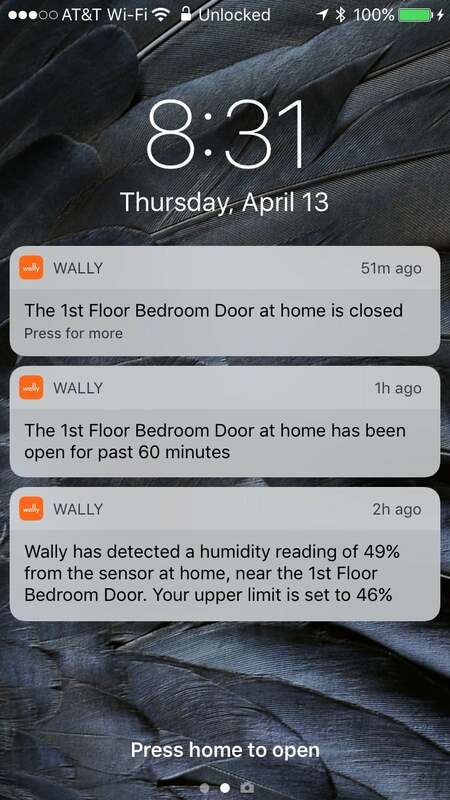 One of the best features of the WallyHome system is that you can set alerts to be generated when a door is initially opened, or if it has been left open for a set amount of time. Unfortunately, it can’t do both at once, and it’s not readily designed to work with garage doors, for which the latter is a particular problem for many. Alerts can overload your phone if you aren’t careful with configuration. Data nerds can geek out in the Wally app because it tracks all of these variables over time. Curious about how temperature or humidity fluctuate over the course of a day, week, or year? Wally keeps a running graph of it all for you. 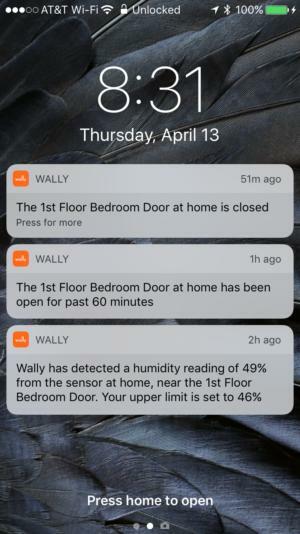 While WallyHome isn’t an alarm system, it does support IFTTT, so clever hackers could cobble together a basic security system out of it in a pinch. That said, the system really isn’t designed to be used this way. My recommendation: If water leaks are a concern, give Wally a serious look. Consider the extra features to be a little icing on the cake. Potential buyers, however, should also be aware that Sears is in difficult financial straits: In the company’s most recent annual report, management wrote: “Our historical operating results indicate substantial doubt exists related to the Company's ability to continue as a going concern.” In other words, the company is at risk of going belly up. Risk-averse buyers would be better off with Honeywell's Lyric Wi-Fi Water Leak and Freeze Detector. WallyHome is a capable water leak detection system with bonus features that you may or may not use.